Who doesn’t have trouble getting out of bed? Well there is nothing like waking to the display of how many days you could potentially have left on this spinning rock. 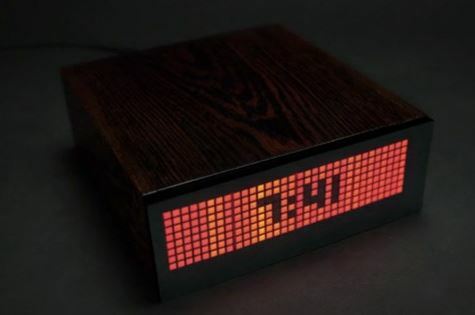 There is a new Kickstarter campaign  to create an alarm clock that will do just that. The idea behind the new ALARMclock is to get you out of bed. It’s easy to simply lay there and keep dreaming about a better life. However, this clock doesn’t let you. It hits you with the cold hard facts which can range from an estimate of how many days you have left or something as tangible as your bank account balance. If you want it can even tell you how many virtual friends you have. The clock has a WiFi connection that allows you to connect with a mobile device or your computer to access such information. The ALARMclock may be good for some people but those suffering from depression might want to stay away. It’s not designed to make you feel all warm and fuzzy about yourself. The dose of cold hard reality may be enough to get some people out of bed. For others, it is just a good reason to stay in bed and never venture out into the world again.